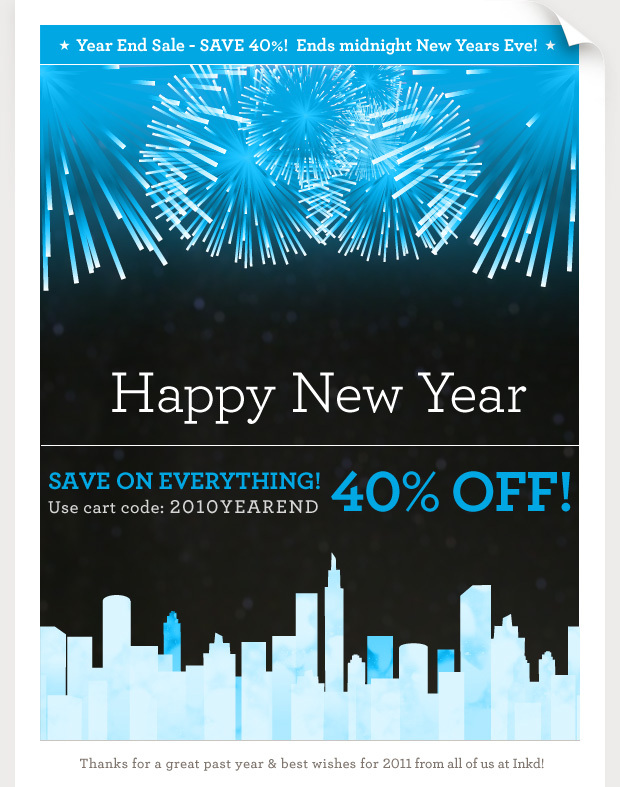 Get 40% OFF anything and everything at Inkd! Ends midnight December 31st! Save on thousands of professional layouts, photos, and graphics – ready whenever you need them. Get top quality printing that’s affordable, with professional guidance through the entire process, or even a custom logo for nearly half-off! See what we can do for you! You’ve helped us have a very memorable 2010! Cheers to sharing an even better 2011! Add us to your address book to ensure you receive our mail!